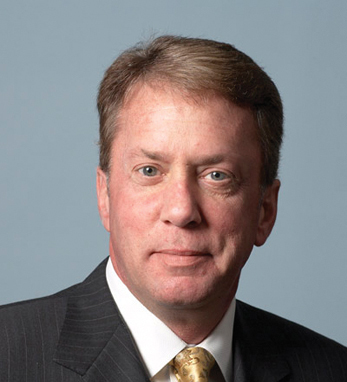 The honorable Terrence A. Duffy has served as Executive Chairman of the Board of CME Group since July 2007. Before that, he served as Chairman of the Board of CME and CME Holdings since April 2002 and Executive Chairman since October of 2006. A member of the Exchange since 1981 and a board member since 1995, Duffy was a key player in the merger of The Chicago Board of Trade and The Chicago Mercantile Exchange. In 2002, he was appointed by President Bush to serve on a national summit on retirement savings, and in 2003, he was confirmed by the U.S. Senate as a member of the federal retirement thrift investment board. He serves on the Board of World Business Chicago, the Board of Regents for Mercy Home for Boys and Girls, the Board of Trustees of Saint Xavier University and the Illinois Agricultural Leadership Foundation. He is also a Trustee of the CME Trust, whose mission is to enhance economic opportunity, health and education, especially for disadvantaged youth. A third-generation Irish-American, Duffy says his Irish heritage is a source of “great pride” and traces his father’s family to Westport, County Mayo. He attended the University of Wisconsin-Whitewater, and, in 2007, received a Doctor of Humane Letters from DePaul University.